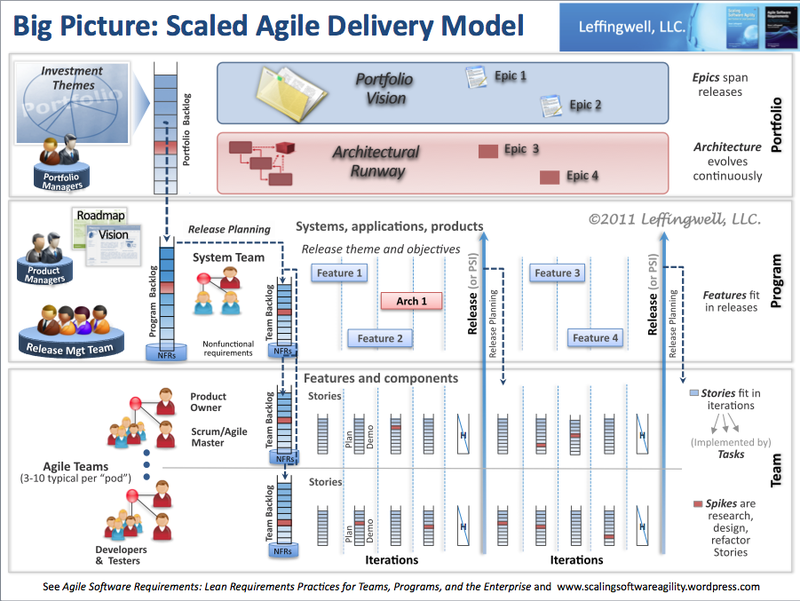 The Agile Enterprise Big Picture Graphic (revised,again). During the course of finalizing the Agile Software Requirements book, the Agile Enterprise Big Picture graphic has undergone some minor changes and has been revised for the umpteenth time. The blog series/category on the Big Picture is here, (but the book does a better job of describing it in a more systematic and incremental way). Could you summarize what the nature of the revisions was? Just some cosmetic changes and changes to the way NFRS are represented as “a base to each backlog”.